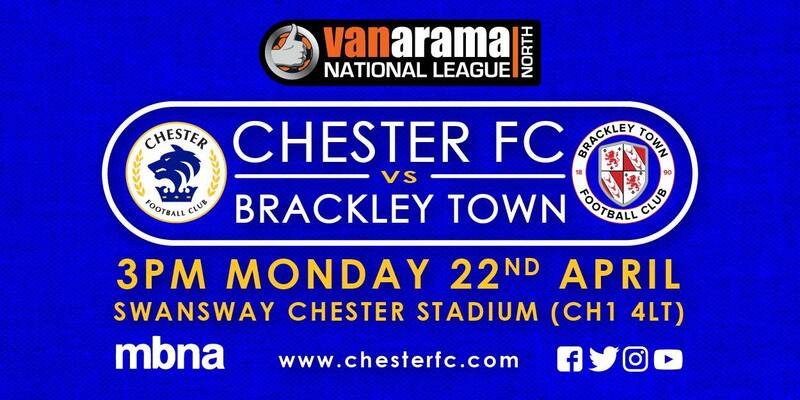 Chester Football Club – Official Website » EASTER MONDAY | FREE Easter Eggs for Under 12’s at Brackley game! We have 200 Easter Eggs available at the Community Trust gazebo outside the main stand and Under 12’s can get one for FREE! Please note this is a first come, first served basis. The final home game of the campaign at the Swansway Chester Stadium also has the annual Chester FC Academy Sponsored Walk, raising crucial funds for our youth setup. Our Academy age groups will also have their traditional walk around the pitch at half time in our final home game of the season. Kick off is 3pm against Brackley Town, come and give the lads your support at home for the last time this season! YOUTH | Chester FC Youth clinch title!